7:30am til' 9:30 pm Breakfast until 11, Lunch @ 11:30, Dinner @ 5. Happy Happy Hour daily @ 3. 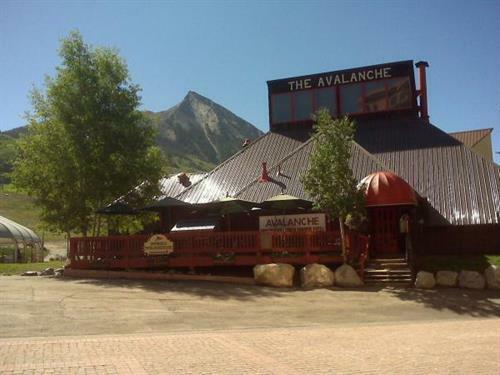 The Avalanche Bar & Grill located at the base of the ski area in Mt. Crested Butte, features breakfast, lunch & dinner daily with huge sandwiches, colossal salads, homemade soups, pizza, a great kids' menu, delectable desserts and all your favorite comfort foods. Don't miss the nightly dinner specials starting at 5 pm. We celebrate Happy Hour from 3-6 pm daily with cheap drinks and marvelous munchies. Dine-In or Take-Out. Winter Hours: Breakfast 7:30-11:00 am, Lunch begins at 11:30, Dinner and Dinner Specials at 5 pm. Phone 970.349.7195. 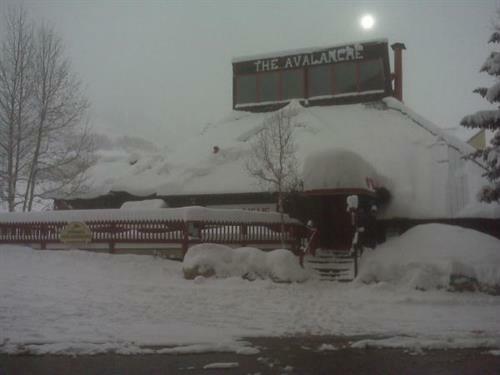 Located at the Base Area in Mt Crested Butte, the physical address is 15 Emmons Rd. We are just a short walk from the Bus Stop and all Base Area hotels.